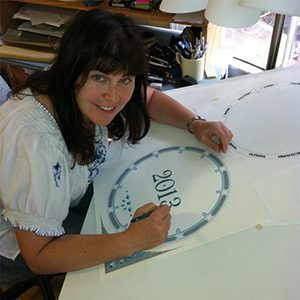 It is traditional to celebrate life cycles with personalized certificates. 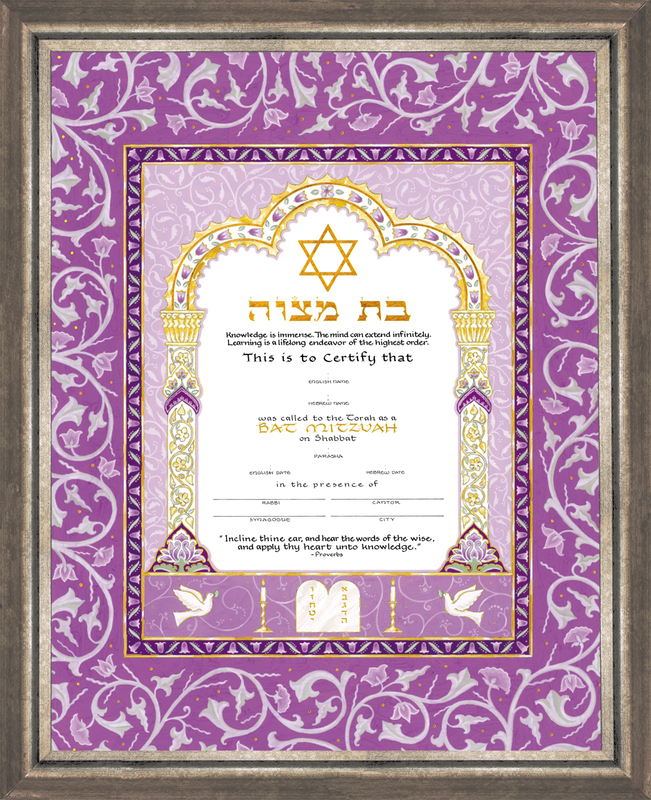 Mickie Caspi has created wonderful Bar & Bat Mitzvah certificates that can be personalized and framed. 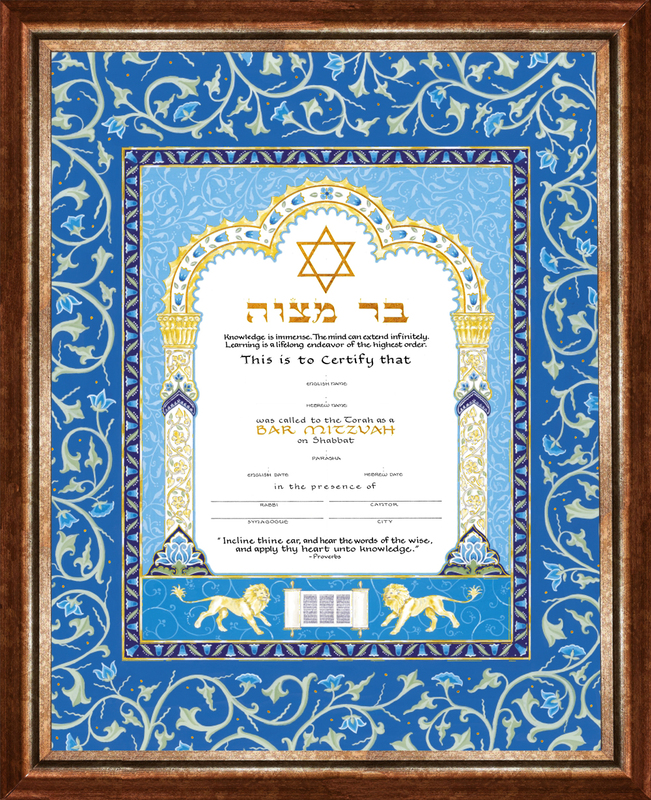 Since you will need to choose whether to have your certificate personalized and/or framed, please click on the ‘View Details’ button. This will take you to the individual product page, where you will be able to choose your options and add it to the cart.